NEW YORK - If developed and developing countries’ national patent systems were integrated into the trade system, the result would be greater specialization among inventors and, with it, faster technological innovation and productivity growth. Yet under current arrangements, World Trade Organization member states do not honor foreign inventors’ claims to their own innovations. More than ever, the world needs a new framework of trade rules to facilitate the exchange of ideas across borders. Economic growth is essentially driven by growth in productivity, which, in turn, is driven by the creation of new technologies. In today’s world, such innovations will increasingly be developed as a result of coordination among inventors across companies and countries. Yet productivity growth has been sluggish for more than 50 years, owing significantly to gaps in trade rules, intellectual-property mercantilism through “forced technology transfer,” and the weakening of national patent systems. These factors have shut out grassroots inventors. The current environment admits only powerful players, effectively excluding millions of ideas from global markets. Clearly, a more cooperative strategy is needed. We believe that a framework of cross-border technological exchange based on patent protection and enforcement mechanisms can release the creativity of developed and developing economies alike. With the right rules, a non-discriminatory, open market for patented technology — as in the 1883 Paris Convention for the Protection of Industrial Property — would create incentives for more cross-border collaboration. Of course, making such an initiative work poses major challenges. We need a global framework that puts into practice the principle of mutual gains through innovation, and which includes all people, regardless of their country of origin. That means further integrating existing patent systems into the trade system and adopting common rules that are incentive-compatible with the emerging digital economy. The focus should be on achieving productivity gains through markets in patent licenses and transfers, by experimenting with different rules and implementing those that produce desirable outcomes. Such an institutional learning process would likely transform the trade system and bring about more cross-border cooperation. At present, however, WTO rules are holding back growth, because they fail to encourage firms to “share” their technology with one another by trading or licensing it. If a firm pursuing specific innovations can license parts of another firm’s patent portfolio, even on the margins, then it can focus more on the specialized field for which it is best suited. Thus, specialization would lead to more productive inventions. What is needed is WTO trade rules that create the conditions for such specialization by establishing a market for trade in ideas, particularly between developed and developing countries. With such a market in place, investment could be directed to fields where the productivity gains are the highest. Under the framework we envision, practices such as forced technology transfers would have to be curtailed. Conditioning market access on technology transfer does allow developing countries to “catch up” to developed countries, but it also weakens the prospects for long-term productivity growth. By eliminating incentives for inventors to benefit from the trade in patents, forced technology transfers effectively destroy the market in ideas. Moreover, countries that engage in this practice weaken their own economic potential, by driving their inventors to countries that will protect their rights. The practice is similar to Tudor England’s grants of royal patent monopolies, which were used to replenish the king’s coffers. This mercantilist policy was abolished by the 1623 Statute of Monopolies, which granted property rights to the “true and first inventor,” thus establishing England’s patent system. And yet, since the 1952-1954 period, advanced economies have adhered to the patentability criteria of “non-obviousness” (in the United States) and “inventive steps” (in Europe). These concepts effectively replaced the “flash-of-genius” doctrine with one of “long toil,” with the result that rewards now accrue more easily to “marginal” inventions than to “broad” ones. There is less of an incentive to make high-risk investments in new productivity-enhancing technologies, because one can simply add “features” to existing products. The 500-year-old principle of honoring the inventor has been cast aside. But creating an international market in patents would likely boost the growth of productivity-enhancing technologies only if effective rules-based incentives are in place. That requires three steps. First, the WTO would need to begin the diplomatic process of transforming itself into a body that enforces market principles for patents (and other intellectual property). 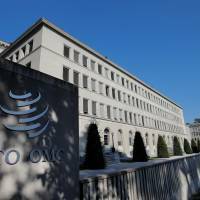 As a result, the WTO’s membership could narrow, because a provision for excluding member states may be necessary to enforce compliance in this area. 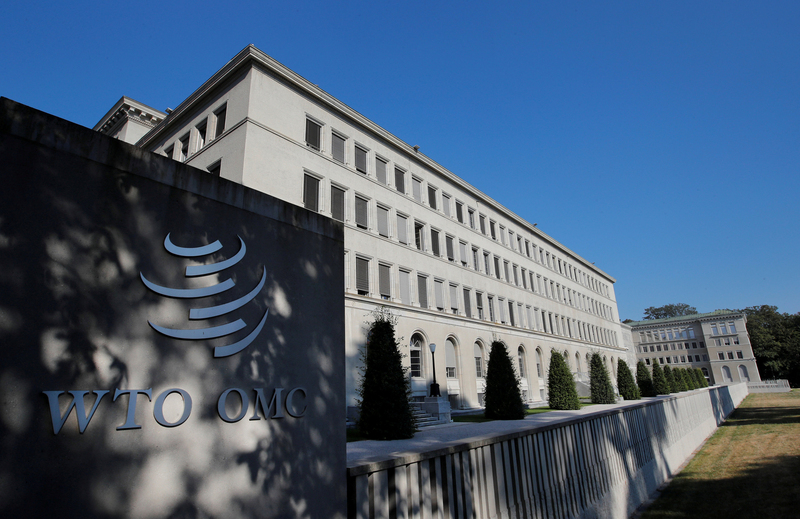 Next, to start the process of institutional learning, the WTO would encourage member states to test out new rules governing the trade in patents. Once decided, these rules would be incorporated into existing treaties. Finally, the WTO would enforce those rules among the participating countries and among any countries wishing to enter or re-enter the bloc. Incorporating an integrated patent system into the global trade framework would create strong incentives for cooperation, sharing and exchange between inventors from developed and developing countries. At the same time, innovation strategies based on abusing intellectual property would increasingly fall out of favor, owing to the threat of “expulsion” from the new WTO and, especially, the loss of trade gains. The new system would empower creative people everywhere — including in least-developed countries. The kind of mass flourishing that we need depends on grassroots innovation and on a non-materialist “culture of creativity” that maximizes human potential, rather than only seeking to satisfy basic needs. There is no time to waste. We should start exploring options for how integrated patent markets might work. The United States, the European Union, Japan, South Korea, China and many developing countries all have important roles to play. Those countries that are not on board risk falling behind, just as much of the world did in the 1600s, when Western countries established their patent systems and raced ahead.